We have an embarrassment of royal jewel riches on our hands today, magpies -- so the only solution is to do two polls! 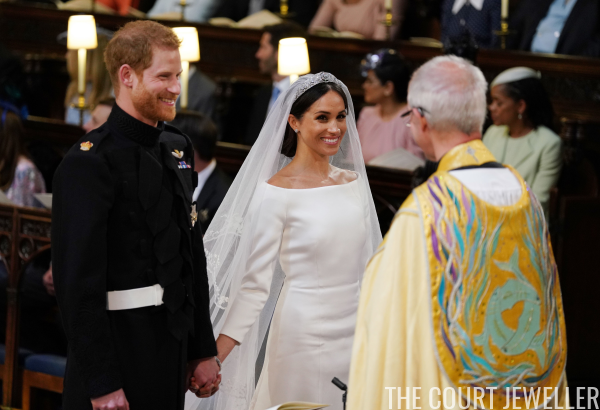 This post features just jewels worn at Saturday's British royal wedding. 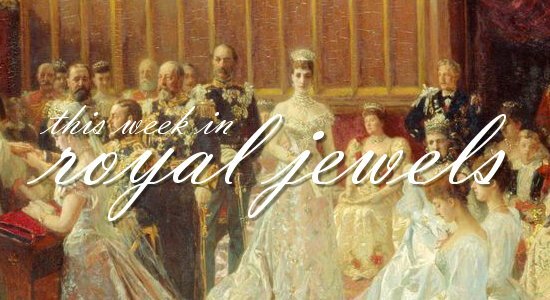 Don't forget to vote for your favorites in the poll -- and to come back here later today for the best of the rest of the royal jewels worn this week! 10. 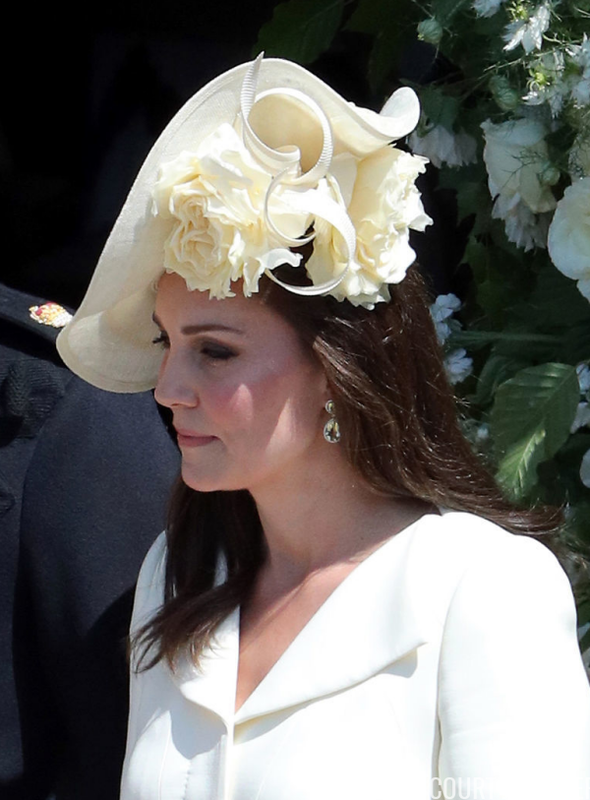 The Duchess of Cambridge wore earrings by her favorite designer, Kiki McDonough, and a large right-hand ring to acquire a new sister-in-law at St. George's Chapel on Saturday. 9. 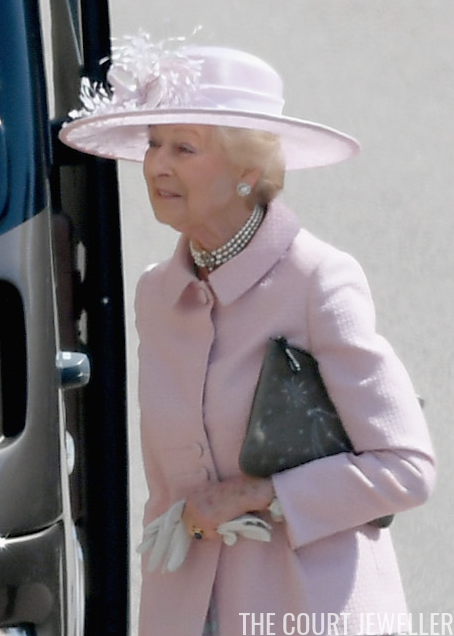 Pearls in various forms and coral jewels were Princess Michael of Kent's choices for the royal wedding at Windsor. 8. 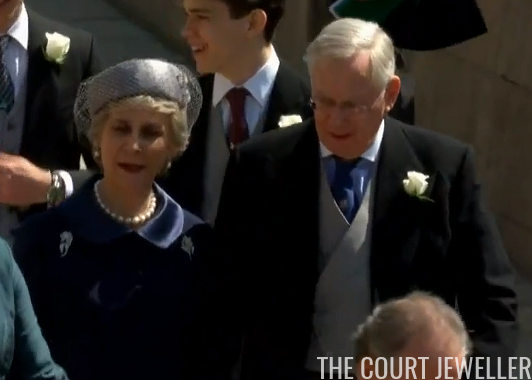 The always-elegant Duchess of Gloucester wore pearls and a pair of floral brooches to see Harry marry Meghan on Saturday. 7. 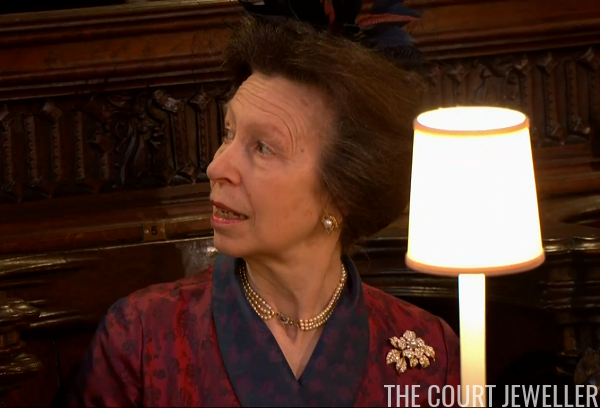 Princess Alexandra, the Hon. Mrs. Ogilvy wore favorite jewels from her collection, including her pearl choker with the geometric diamond clasp, for this weekend's wedding. 6. 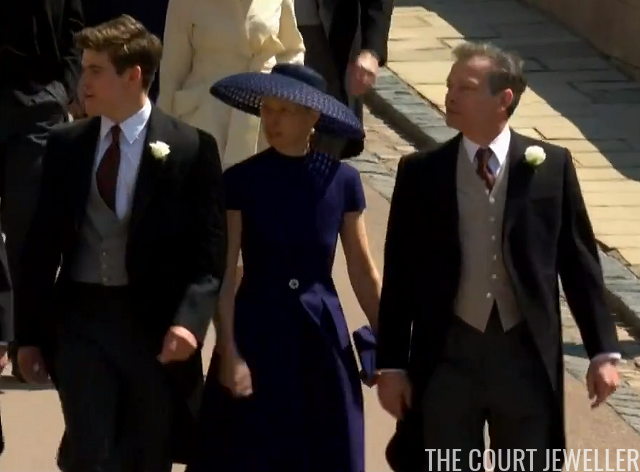 Lady Sarah Chatto wore her own wedding earrings -- which once belonged to her mother, the late Princess Margaret -- to attend her godson's wedding at Windsor. 5. 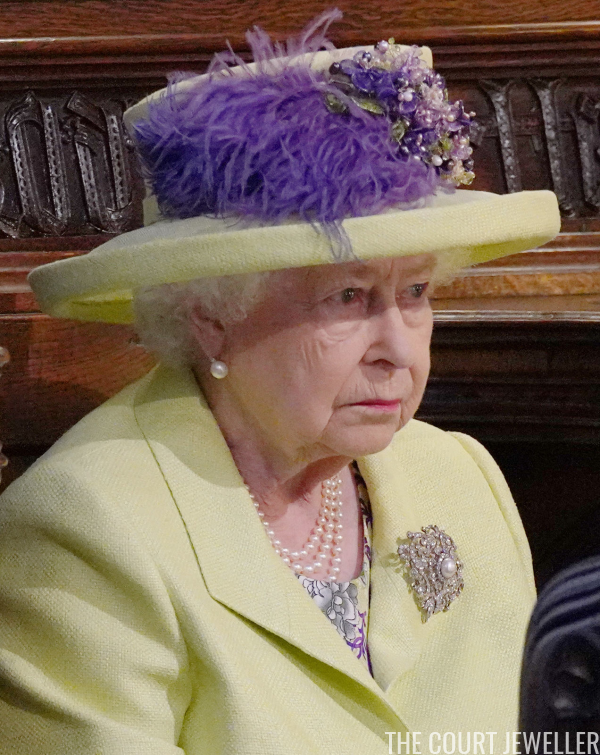 The Princess Royal was lovely in pearls and floral jewels for the wedding, including her diamond- and pearl-studded golden floral brooch. 4. 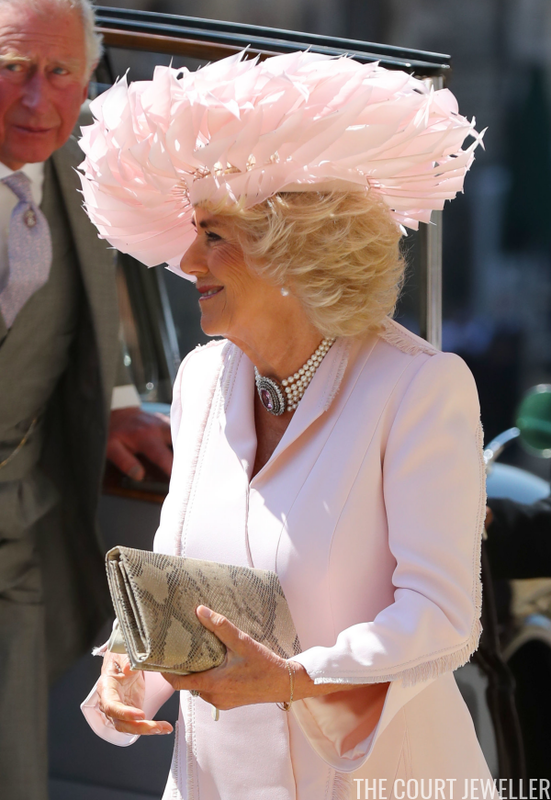 The Duchess of Cornwall chose one of her most striking daytime jewels, her pearl choker with the elaborate diamond and pink topaz clasp, to see her stepson marry at St. George's. 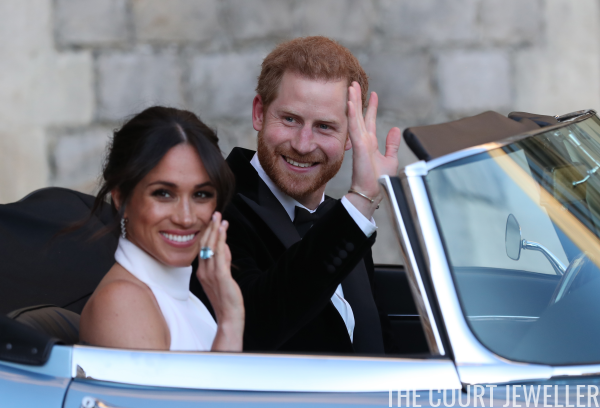 Which royal wedding jewels get the win this week?